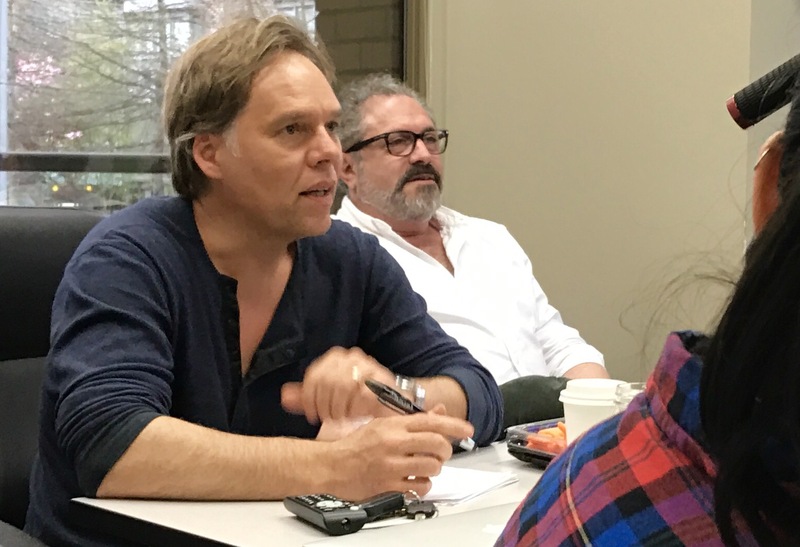 A PROFESSIONAL AUDITION INTENSIVE with acting coach Matthew Harrison and director Michael Nankin formatted to teach audition process - and successful work "in the room"! Director/Exec Producer MICHAEL NANKIN (“Van Helsing”, “Defiance”, “Exorcist”) and acting coach MATTHEW HARRISON teach audition skills and hone audition technique - and specifically designed to prepare the actor for the busy - and competitive - Vancouver film and television industry. Actors gain first-hand knowledge of how the director works and what the director looks for in the audition room and from the actor. This is also your chance to make a personal impression with one of Hollywood’s busiest directors who will be in Vancouver directing and producing several shows. GROUP COACHING SESSION: Actors coach their scene with both Matthew Harrison and Michael Nankin learning valuable audition technique and scene work in an open class format. Actors receive sides in advance. GROUP AUDITION CLASS: After a warm up in the morning, actors audition their scenes in front of the class. Auditions are in front of the camera. The director gives notes and adjustments. There will be a Q & A to the group with Matthew and Michael after the auditions. Finally, Matthew will provide notes based on the director's feedback from the teacher’s perspective allowing the actor to improve and move forward in their work. Actors will receive a link to view the taped copy of their scene after the workshop. Please com­plete the form below. PLEASE NOTE: pay­ment is required to con­firm your reg­is­tra­tion. When you com­plete the form and click ‘Complete Payment and Secure Registration’ you’ll be taken to our Pay­Pal form, but if you don’t have a Pay­Pal account you can use any major credit card. Registrations that do not have a payment are not confirmed and do not come through to the administration.